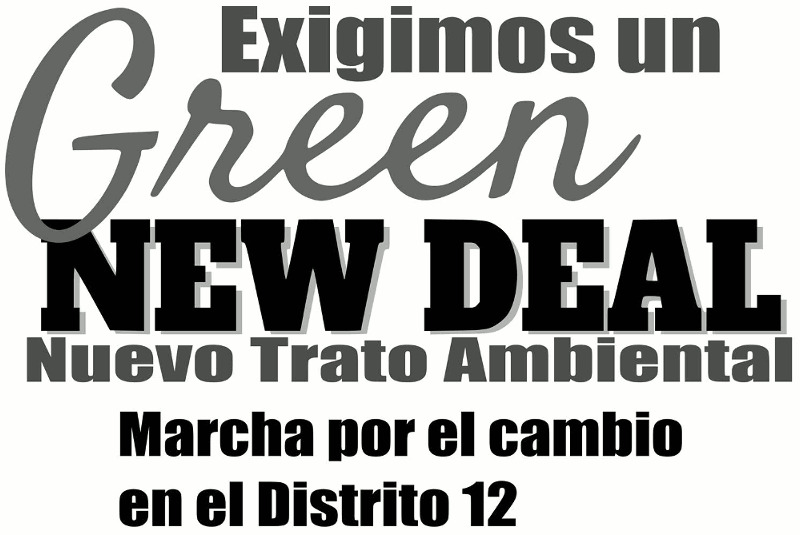 Join community members and Residents for a Better 12th Ward for a Green New Deal March and Rally at 11:30 a.m. on Saturday, February 23, 2019, at the corner of Archer Avenue and Leavitt Street, the intersection of the 35th Street Orange Line El station in Chicago. Candidates for the 12th Ward aldermanic race are expected to attend the rally, march and speak, including Pete DeMay, Martha Rangel and José Rico. Additional guest speakers are expected from the Sunrise Movement, Food & Water Watch and the Little Village neighborhood community, which is bracing for the HILCO redevelopment of the former Crawford power plant. The March ends at Pershing Road and Damen Avenue. Attendees are welcome to bring U.S. flags, posters and friends. For more information, contact Chris by calling (773) 254-6761.